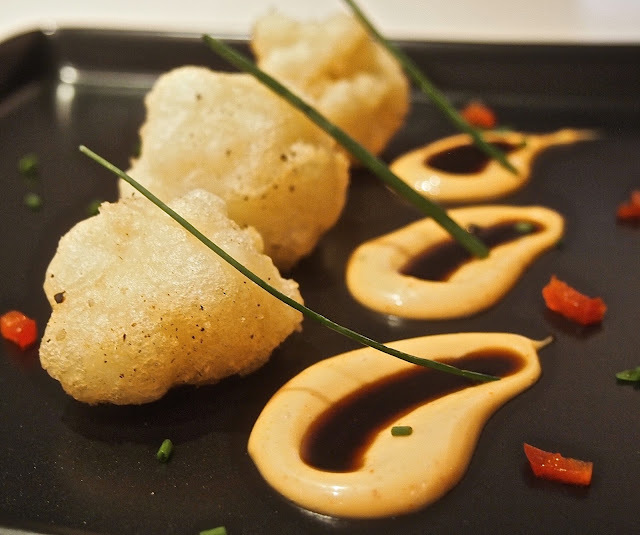 Inspiration: Vegan Super Bowl snack - instead of chicken wings! 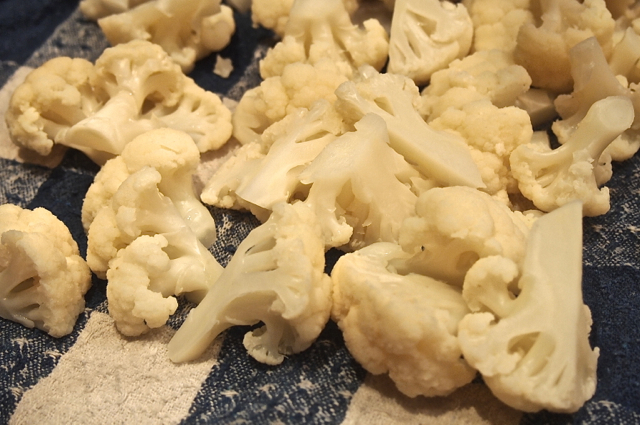 Start by cutting the cauliflower into bite-sized florets (about 1 inch - 2.5cm in diameter). You will have to cut the large florets in quarters to get them all the same size. 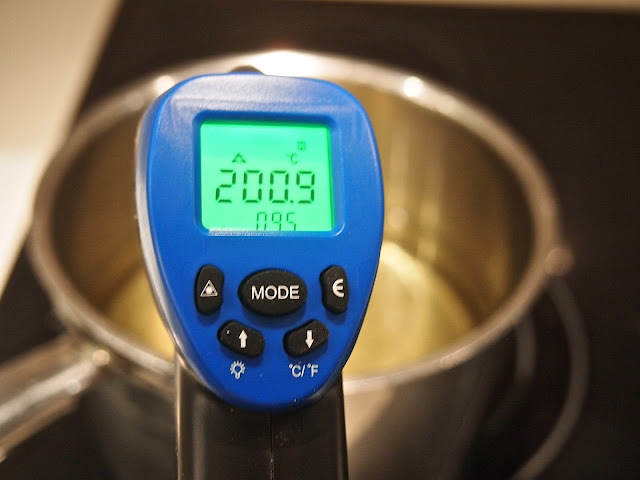 Put a large pot of water on high heat and bring the water to a boil. 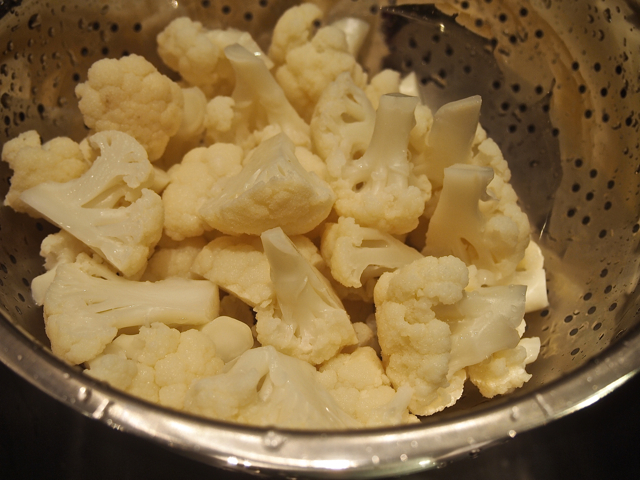 Add the florets and blanch them for 3 minutes. Remove from heat, drain and place them under cold running water to stop the cooking. Allow them to drain completely and then pat dry with a clean dish towel. 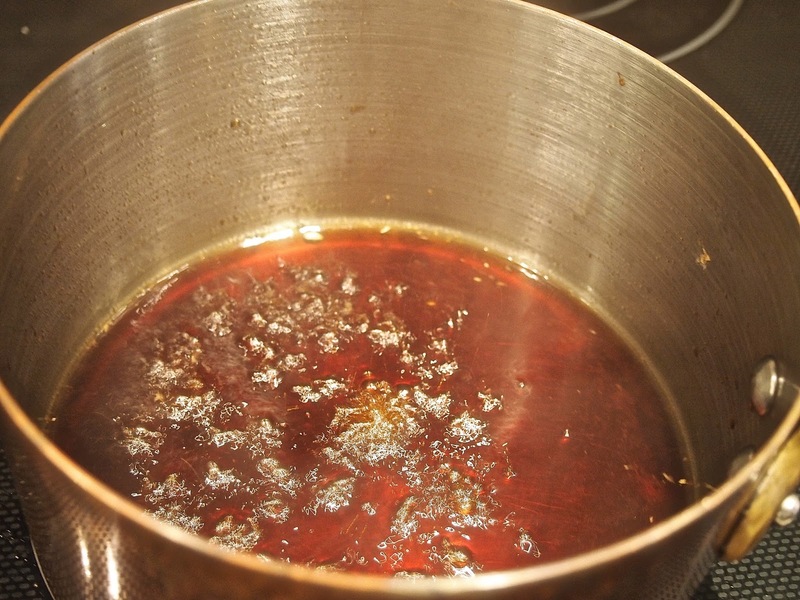 Place the oil in a deep pot and bring to a temperature of 400°F (200° C) over medium high heat. You should have about 3 - 4 inches of oil in your pot. 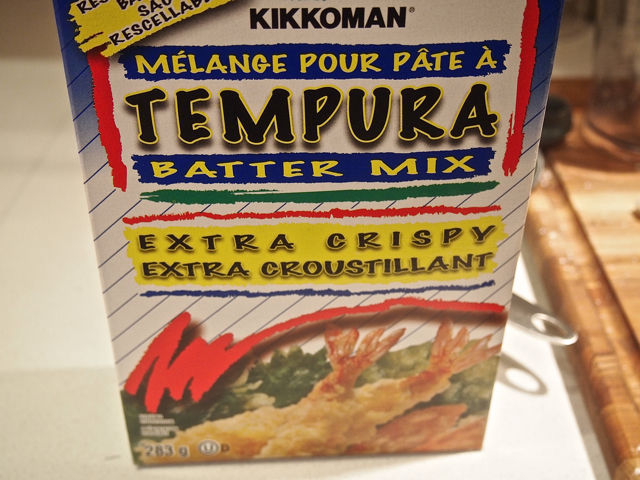 Place the tempura flour mix (1 cup - 240ml) in a medium bowl and form a well in the middle of the bowl. Add the cold vodka (1/3 cup - 80ml) and the cold sparkling water (1/3 cup - 80ml) and whisk gently pulling in the flour into the centre of the bowl. 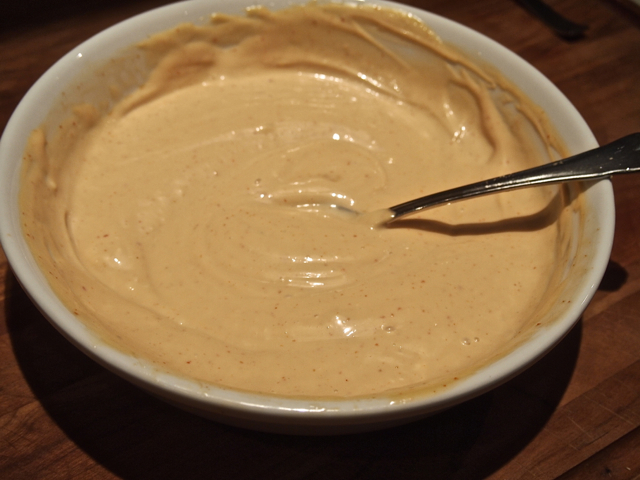 If you feel the batter is too thick, add some additional sparkling water. 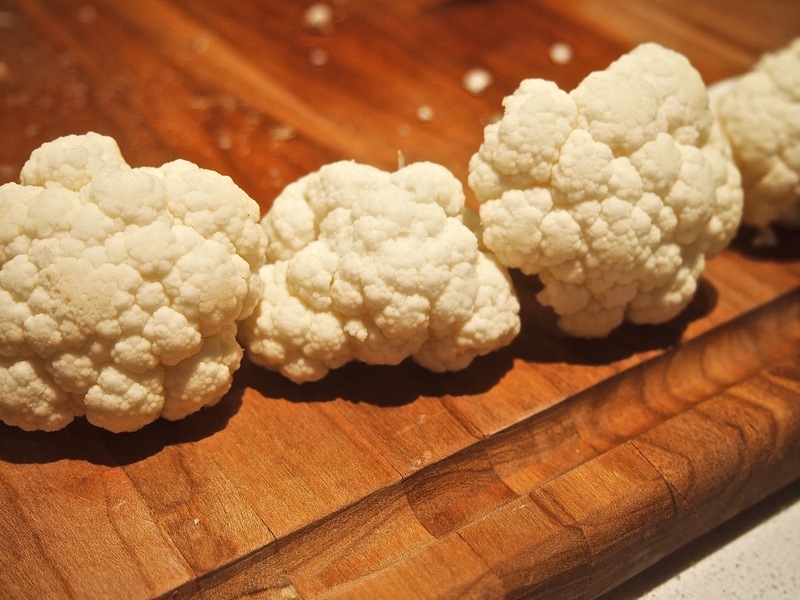 The batter should be thin but still stick to the cauliflower. You can also test it with a few florets and adjust as you go. 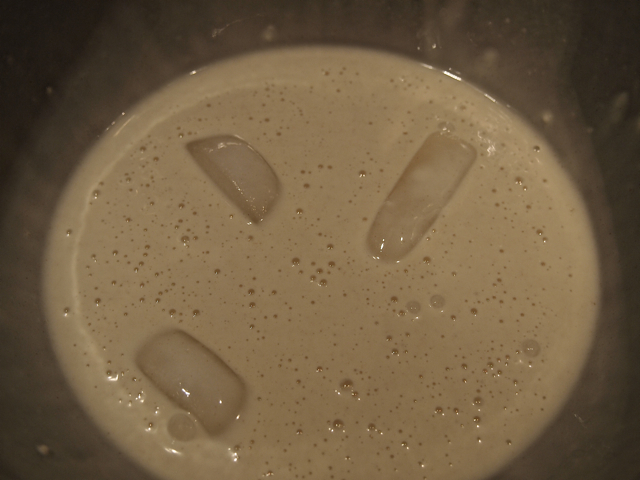 Add 2 or 3 ice cubes to keep the batter very cold. 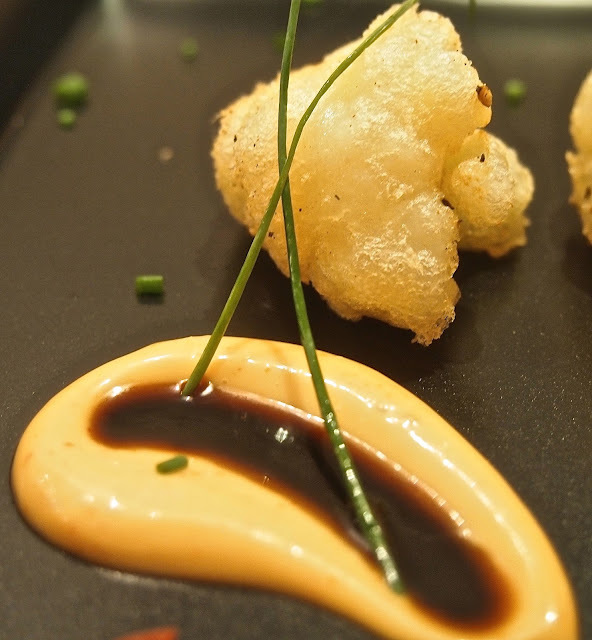 Dip the florets in the tempura batter and gently place in the hot oil in batches of 5 or 6 florets or more depending on the size of your pot. Cook for about 1 minute (you will see the batter begin to colour) and transfer to a paper towel lined plate to drain off excess oil. 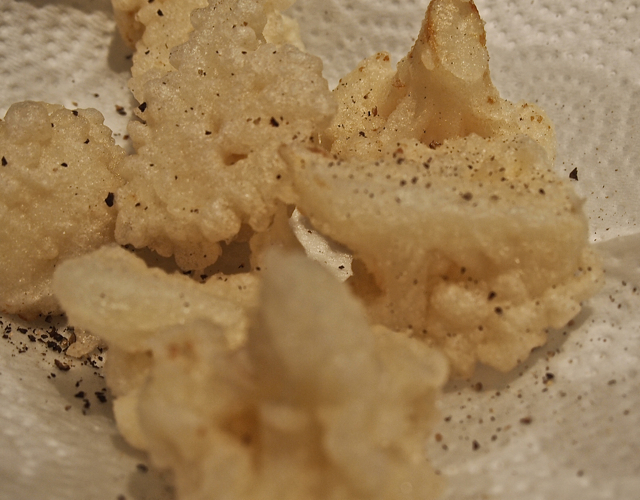 Season with a little salt and freshly ground pepper as soon as they come out of the oil. Continue with this process until you have cooked the remaining florets. 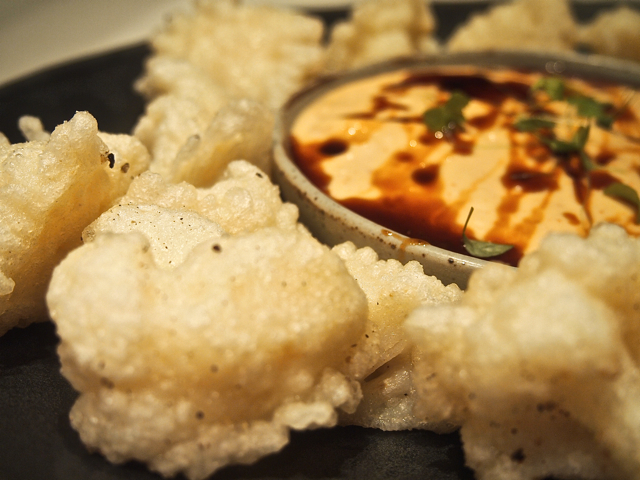 Serve with the spicy ginger dip drizzled with the maple soy reduction. Enjoy!